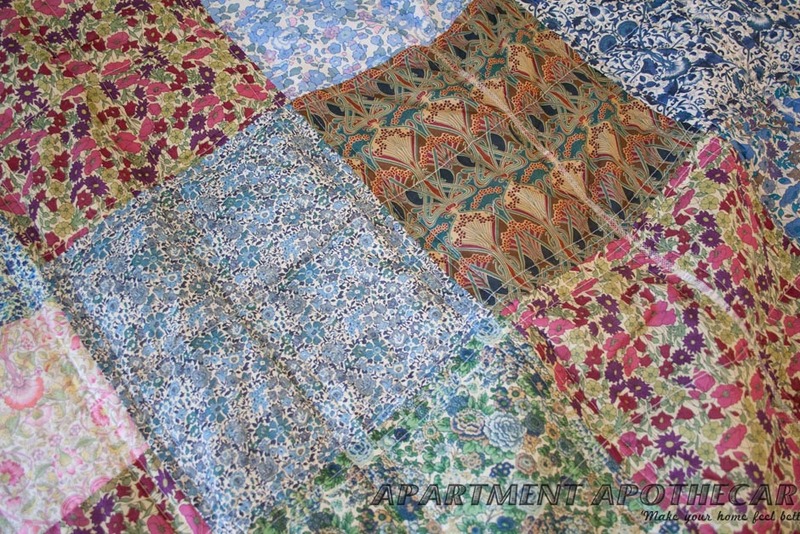 I can not keep my love for everything and anything Liberty London hidden. 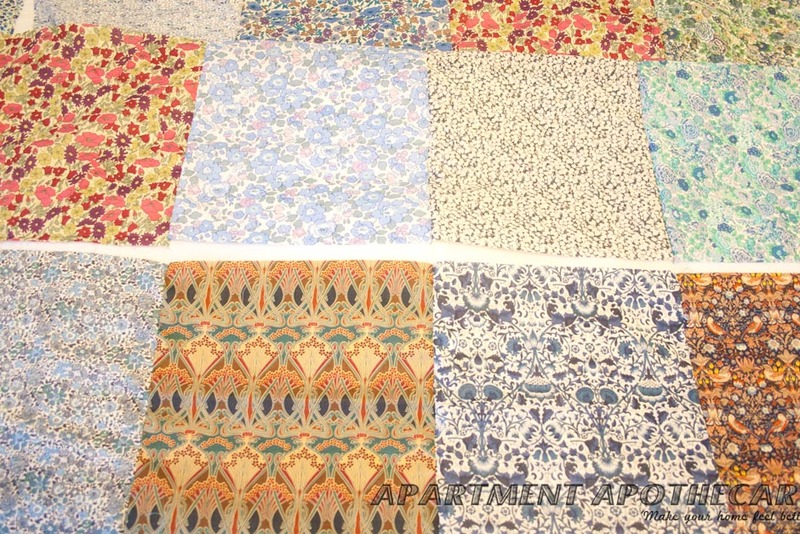 What better way to indulge in the joys of Liberty prints than to make a quilt? Delightful. 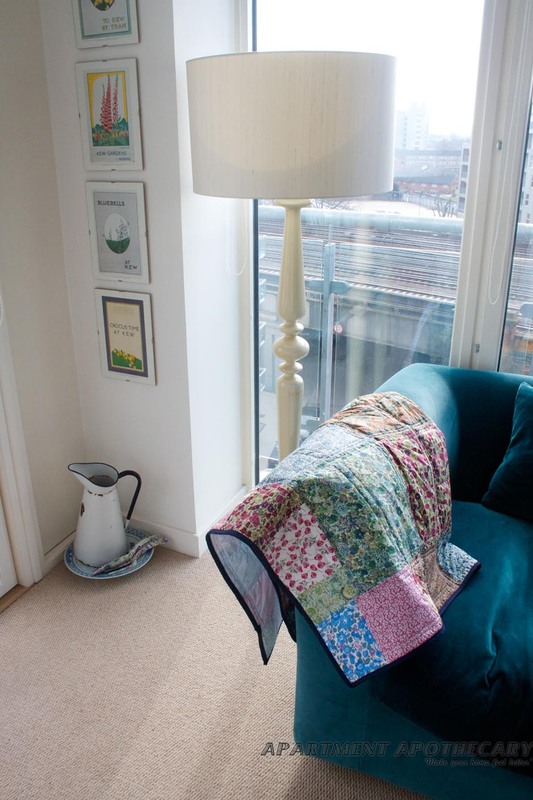 I have recently done an ‘Intro to Sewing’ class at the lovely Sew Over It sewing cafe in Clapham. Now, I think I will have to go back to Sew Over It to do the ‘Intro to Quilting’ class but in the meantime I just want to have a go. My lovely boyfriend was kind enough to buy me a sewing machine so I am going to put my newly found skills to the test (plus quite a lot of trial and error). 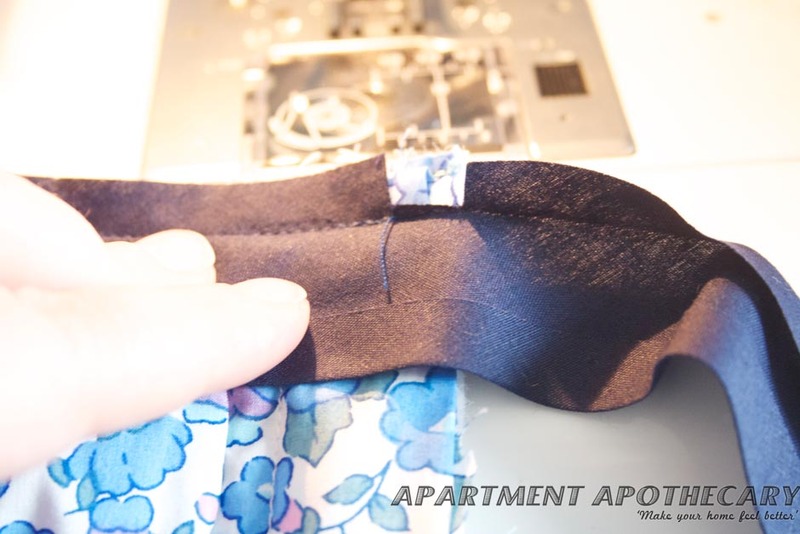 So here goes…please forgive all the countless mistakes I am bound to make, as it is my first attempt at sewing solo. 2. 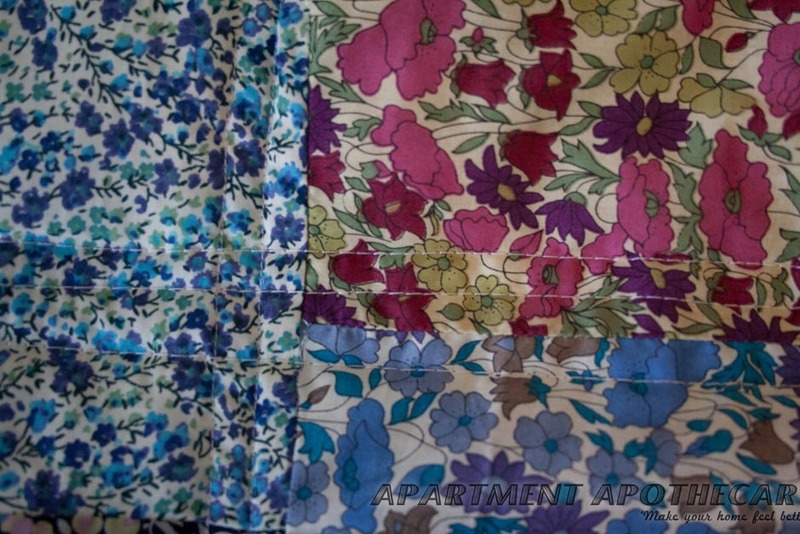 Fabric for back of quilt (I used a duvet cover that had a hole in it to save money). 4. A lot of cotton (I used three reels). 6. Rotary cutter and mat if you need to cut the squares. 7. 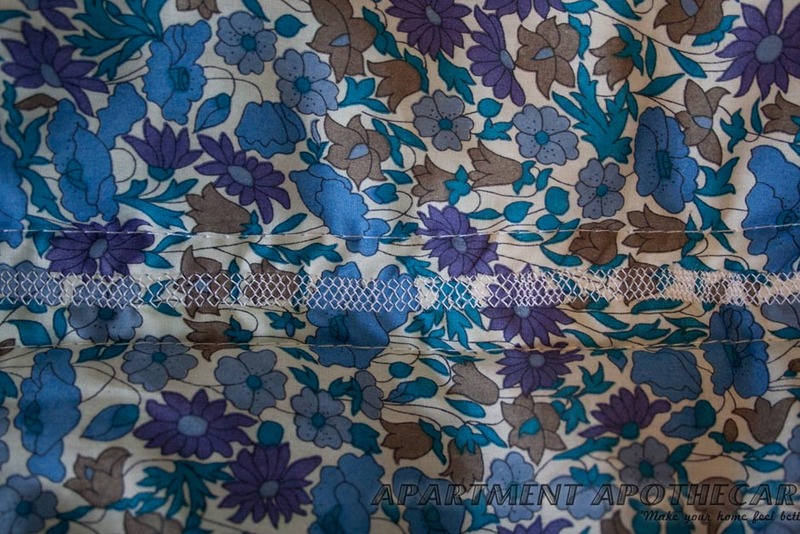 Wadding (search for Dacron on the internet – I got 4m for £3.99). 8. Double sided bias binding 25mm. 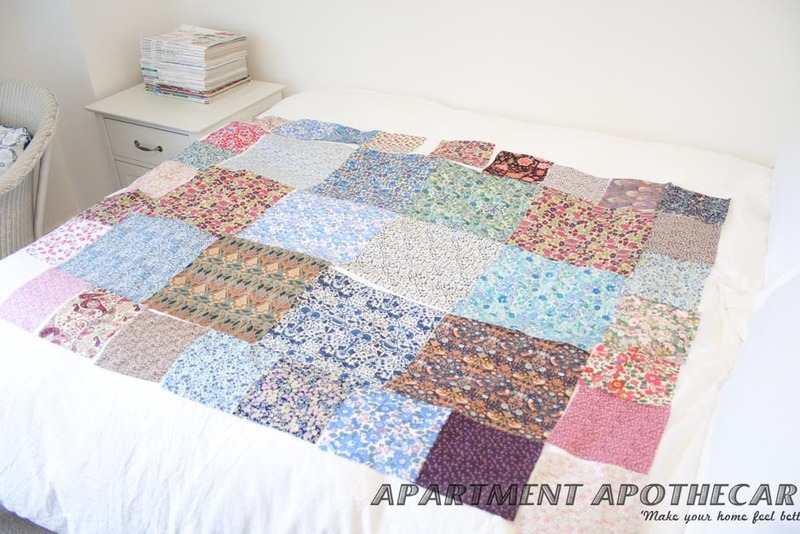 You will need up to 5m of length depending on how big your quilt is. 1. 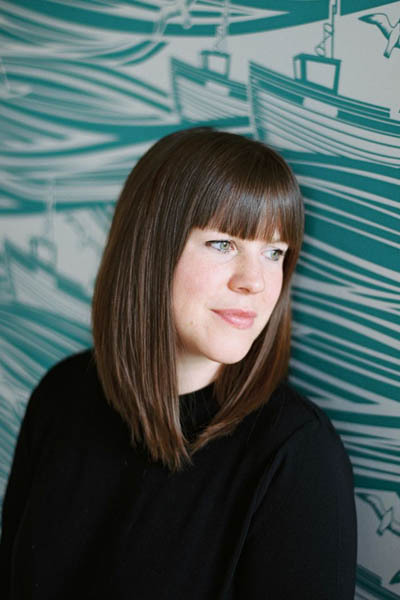 Plan your design (sketching it is helpful with the dimensions) and then cut your squares. 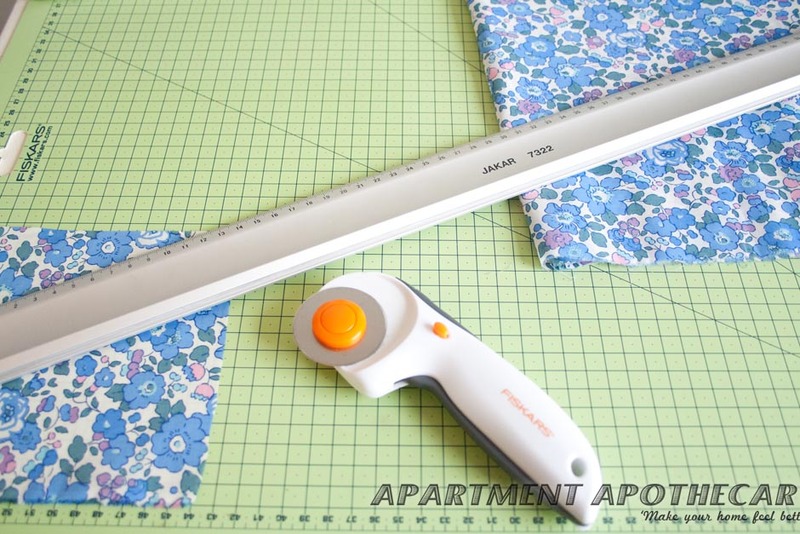 If you have a cutting board, ruler and rotary cutter this is a really fast, accurate way of doing it. 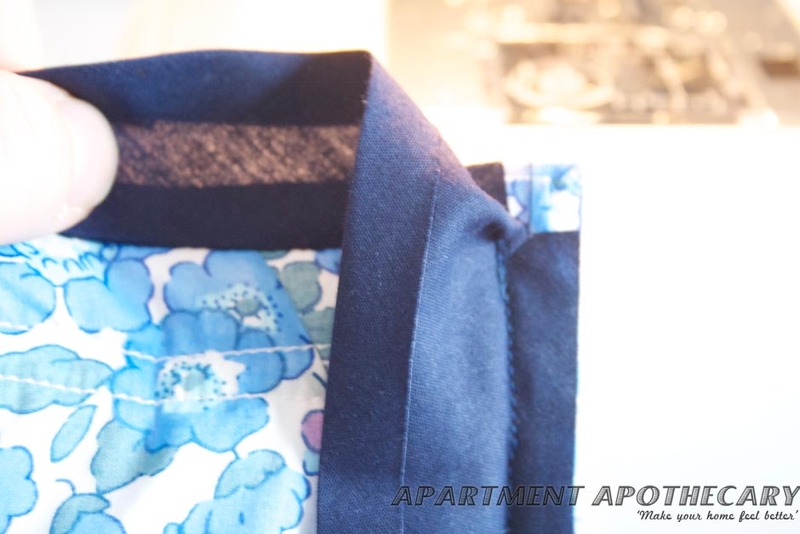 Remember to allow for a 0.5cm seam around each square. 2. Lay out your design. I do it on our spare bed so I don’t have to take up floor space or bend to the floor constantly. 3. 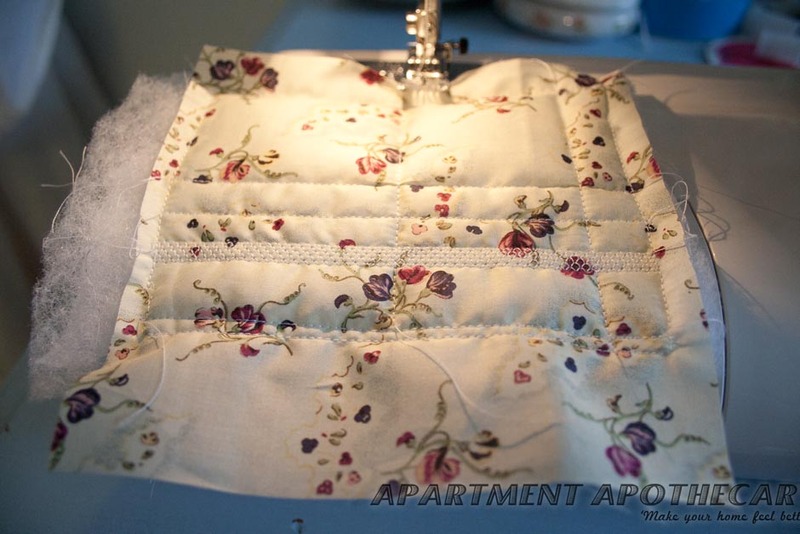 Start by sewing the squares right side together. 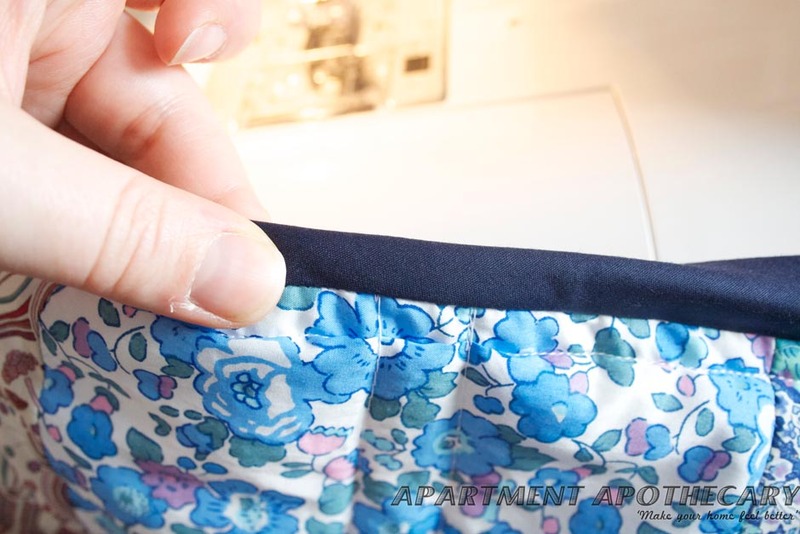 Pin two squares together leaving a 0.5cm seam before sewing. 4. I used a basic straight stitch, which gives a neat finish. 5. It should begin to look like this once you have begun sowing the squares together in rows. 6. You then need to sow the rows together. 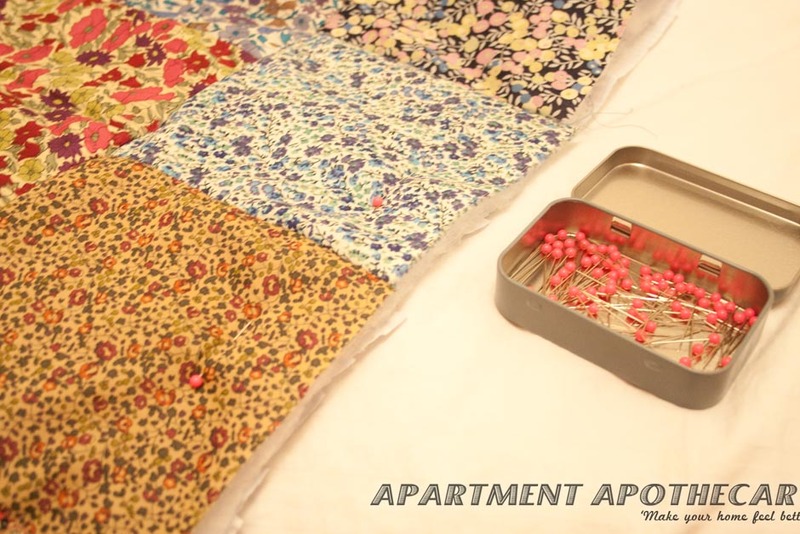 Pin them together first (you can get away with not pinning small squares together but not long rows). 7. 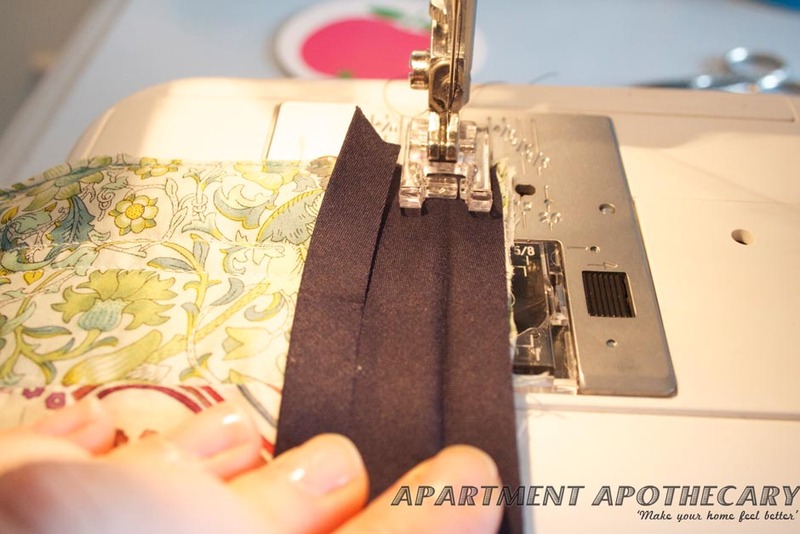 Once all your rows are sewn together you need to cut your backing fabric and wadding to the same size and layer them up with the wadding in the middle. 8. 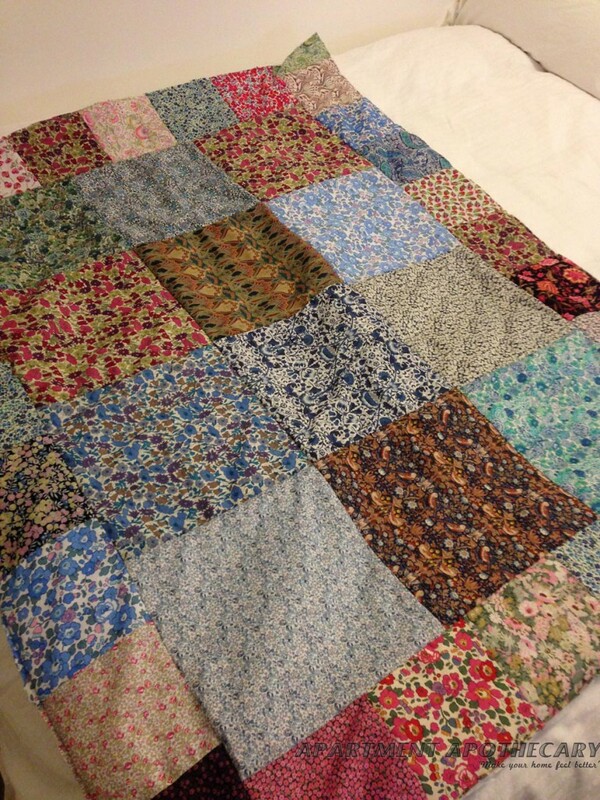 You must pin the three layers together all round the quilt and then sew around all four edges. 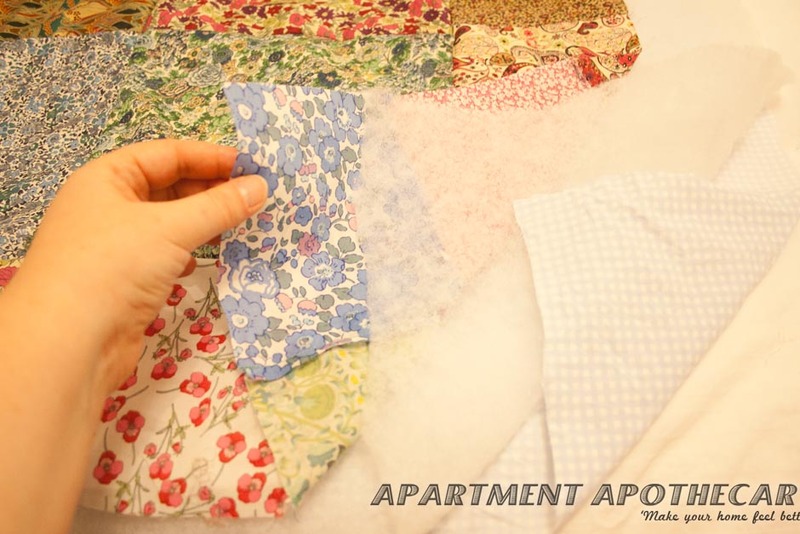 If you want to attempt quilting the blanket some people recommend gluing the three layers together, before sewing, with an adhesive spray. This keeps the layers stable as quilting can make your layers bunch up. 9. 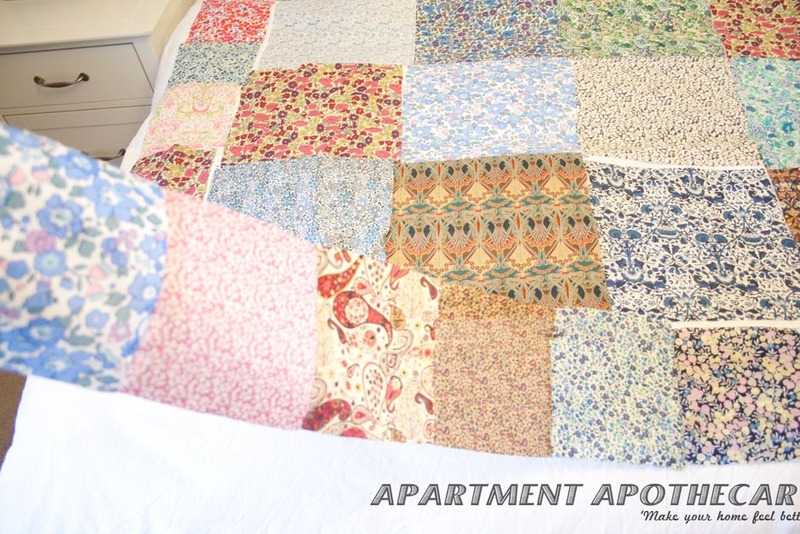 You can leave the blanket as it is at this point or you can try to quilt it. 10. I made a quick sample (with the wadding and backing fabric) to practice some quilting patterns. My sewing machine does not have the right foot for quilting but thought I’d give it a go anyway. I’ve just used parallel lines of straight stitch and a pretty smocking stitch but I wouldn’t recommend this as it takes such a long time. You can choose whatever colour thread you like, or alternate. 13. Smocking stitch (be warned it takes forever and uses so much thread). Now for the binding…quite a long, tricky process. You will need: Double sided bias binding 25mm. 1. 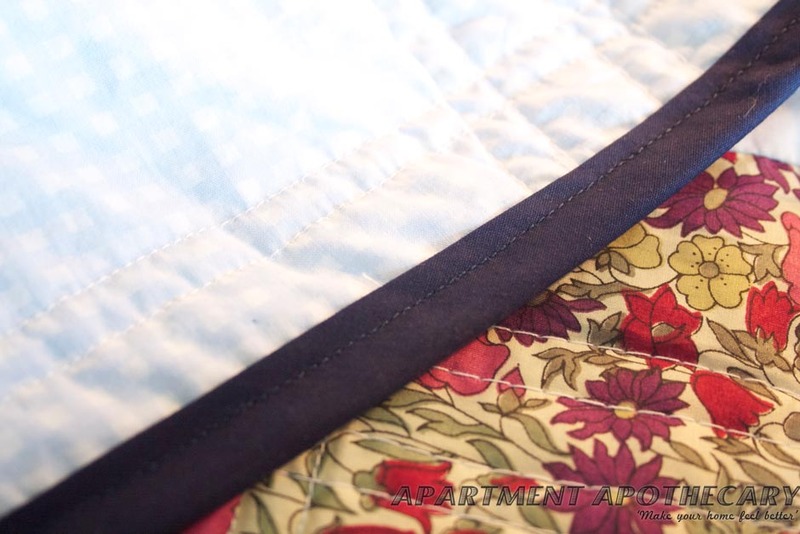 Trim the edges of your quilt very close to the stitching. 2. Line the top edge of the binding with the very edge of the quilt. 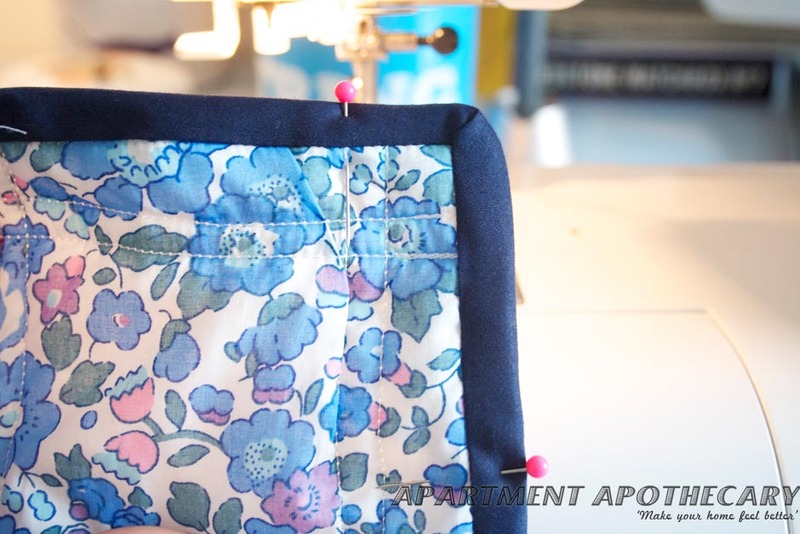 Sew along the first crease. 3. 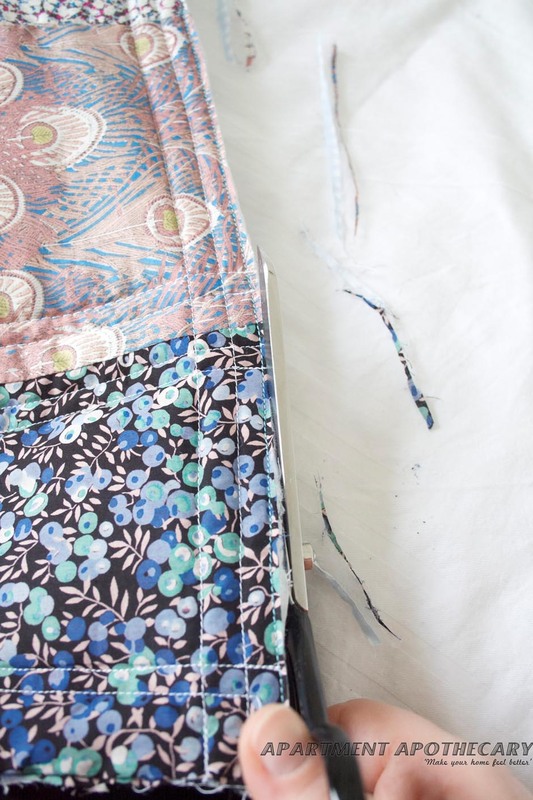 You then need to fold the binding over the edge of the quilt. 4. Sew along the binding again very close to the inside edge being sure to pin it as you need to catch the back side of the binding. 5. 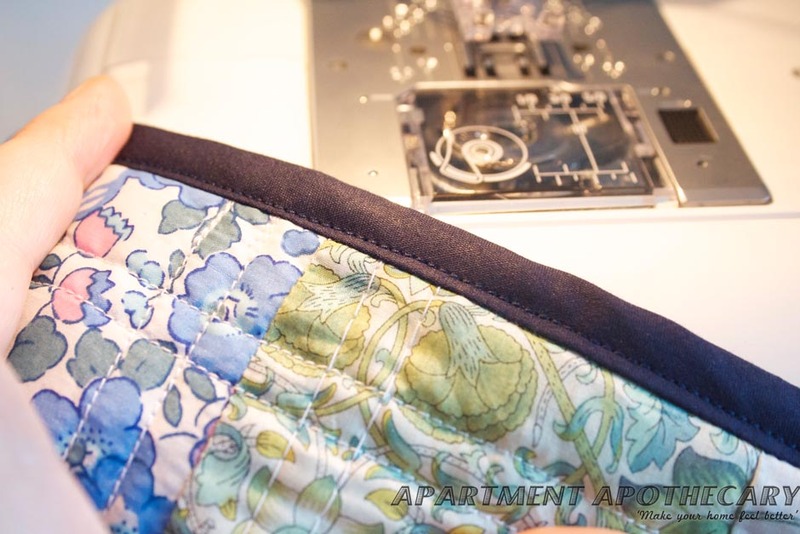 Your stitching should catch the back side of the binding. 6. When you get to the corner there are different ways of turning the corner. I decide to cut a square out of the binding as you can see in the picture. 7. Fold the binding as you can see. 8. 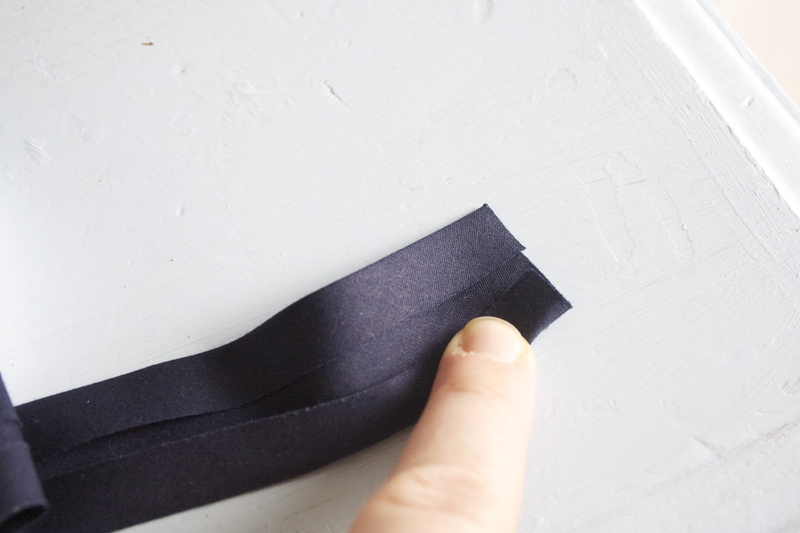 You will then be able to fold the binding over and create a neat corner. 9. 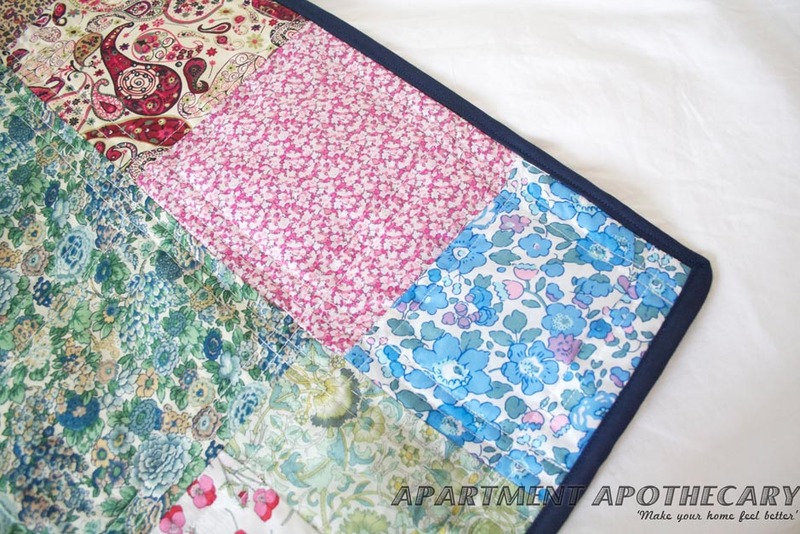 Binding, although tricky, really is worth it as it gives a neat finish to your quilt. Now, just need to decide where to put it or who to give it to….